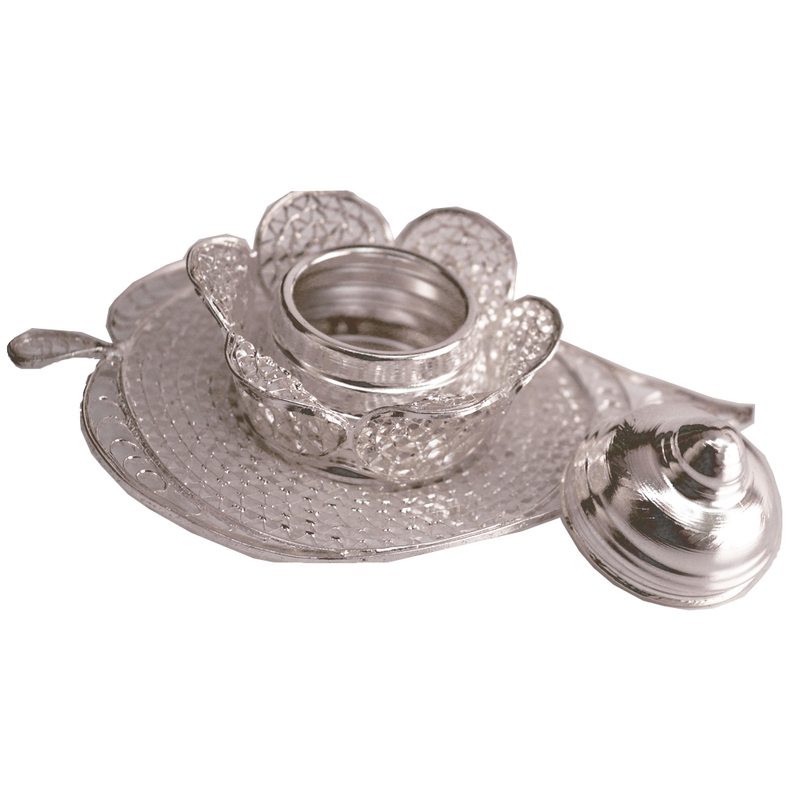 This German Silver Paan Shaped Sindoor Dibbi is the ideal choice for all married Indian women because of the exquisiteness of its aesthetics, which makes Read More..it a valued addition to any dressing table. 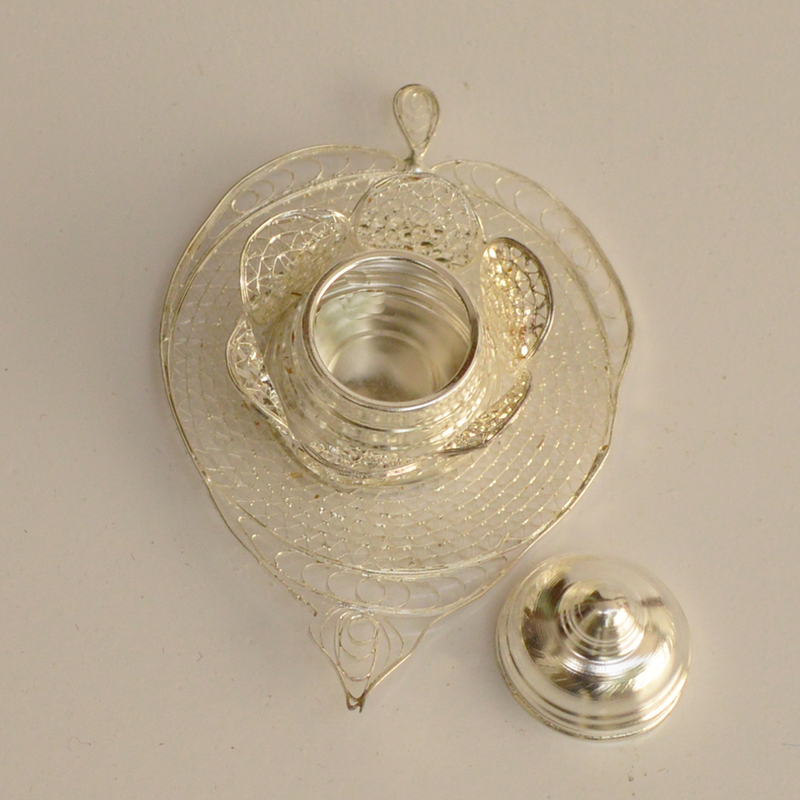 The intricate jaali work sets this piece apart, while the immaculate finish ensures that there are no sharp edges at all. This is the sort of handicraft items that infuses the right dose of ethnic splendor into a seemingly mundane everyday item, and proves to be a valued possession of its owners. Show Less..